A cute little Bible story book with Dubravka Kolanovic's distinctive and adorable illustrations. Ten stories are briefly but accurately retold, making this an ideal gift for a young child. Includes a dedication page, and a prayer. A perfect partner to Dubravka's My Baptism Book. 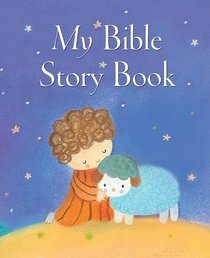 About "My Bible Story Book"